Comic talent Drew Taylor and the team at The Lion Hotel, Treorchy have created a feast of fun with their regular laughter liaisons. The evenings in the Lion’s Den which is upstairs at the aforementioned busy Rhondda venue brings in performers and punters from far and wide. The most recent show was what another top night for outlet, the town, the valley and the audience. 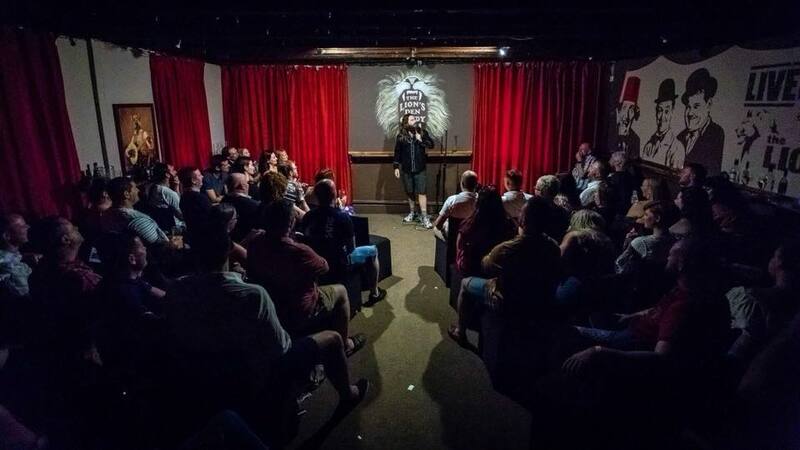 A major coup was scored in the obtaining the only Welsh heat of the prestigious 2019 PetFringe Comedian of the Year competition with entrants challenging for the biggest single cash prize in UK comedy. Over 800 comedians applied last year, with the best 54 chosen for the live heats. This year sees an expansion to 12 heats, 3 semi-finals plus the final in clubs across England and Wales. Nine comedians enter each heat (presenting 10 minute slots) and this number includes many headline acts and the best rising stars of comedy, plus top professional MC’s to host with the ever popular Drew present for the Welsh battle. Judges help choose who goes through to the next round and yours truly was asked to be one of the three person panel for the Treorchy leg. Added to which audience reaction and votes count for 25% of the marks for each act! Therefore, everyone present at these funny functions has a chance to make a judgment on the three winners of each heat who will go on to have an eventual chance of winning £10,001. The prize money is donated by an anonymous (and rather generous) benefactor from Petworth in Sussex, with the aim of helping promote the Petworth Fringe Festival (Petfringe) at which the Grand Final is held. The whole event looks to support circuit comedians who are funny week-in, week-out around the UK – yet are often overlooked by Edinburgh type awards. Treorchy witnessed a good turnout with an American act kicking off proceedings – and, although there was an abundance of artists from all over Wales the crowd were also entertained by several souls from across the Severn. However, the genial Irish presence of Colin Chadwick proved to be an overwhelming success with his wacky observations and sharp wordplay. The other victors on the evening were Sarah Bridgeman with her astute observations about single life and Internet dating hitting the spot and also Simon Emmanuel whose faster than the speed of sound delivery firing out some manic material. A Happy Sunday for the Happy Mondays.